Mobile Integrated Health and Community Paramedicine (MIH-CP) offers EMS agencies new opportunities to shape the course of healthcare. Much of today’s patient care is shifting from hospital to home. This presents a challenge because of the unique type of patient care MIH-CP demands. To provide the highest level of patient care, adhere to compliance standards, and to collaborate effectively with hospitals, EMS agencies, and Community Paramedics agencies will need to expand their training. How confident are your staff in treating chronic illness? How skilled are they in post hospital discharge care? How accurate are they in conducting acute care patient assessments? Simulation training can address all of these skill areas. 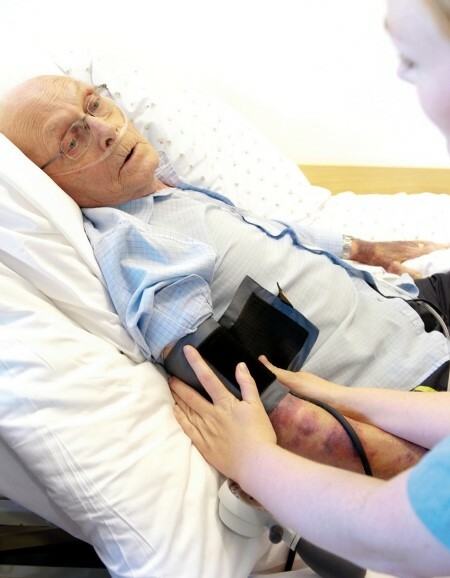 Laerdal is committed to improving patient outcomes and helping save lives. Our solutions are designed to help EMS healthcare professionals provide the highest level of care for all MIH-CP patients, including those with chronic illnesses or who have just been released from the hospital. Read more about Norman Seals', Assistant Chief Emergency Medical Services Bureau Dallas (TX) Fire-Rescue Department, journey into the world of Mobile Integrated Healthcare (MIH). Join MIH-CP experts Dan Swayze and Matt Zavadsky as they answer not only the most commonly asked MIH-CP questions, but also live interactive questions posed by webinar participants. How do we get started on an MIH-CP program? What are current models for economic sustainability? How do you select and train providers? Realistic, in situ simulation has been found to have a positive impact on learners’ reactions, changes in safety attitudes, organizational performance and teamwork. Laerdal’s wide range of mobile, durable, and self-contained simulation solutions allows for training to take place in clinically realistic environments, helping EMS providers perfect the clinical and decision-making skills required for effective MIH-CP. Standardized scenarios from SimStore™ offer expert authored validated content that help to boost productivity while ensuring consistent educational experiences for MIH-CP trainees. The ability to frequently and consistently practice and manage complex scenarios helps to prevent medical errors, while detailed feedback promotes discussion and reinforces the learning process. Whether you’re new to simulation or not, we have educational and technical services that can help you optimize and improve your utilization. From simulator installation to delivering courses on debriefing and teaching with scenarios, Laerdal Services are available to help make each simulation-based MIH-CP training program a success. Laerdal simulation solutions offer learners the ability to train in key areas important to Community Paramedics programs. Areas such as detailed patient assessments, critical thinking, decision making and communication skills in addition to traditional skills such as vital signs, ECG, IV therapy, would care, chronic diseases, and airway management. Preprogrammed scenarios are available for most of the common and even uncommon diseases treated by Community Paramedics, including COPD, diabetes, and congestive heart failure.